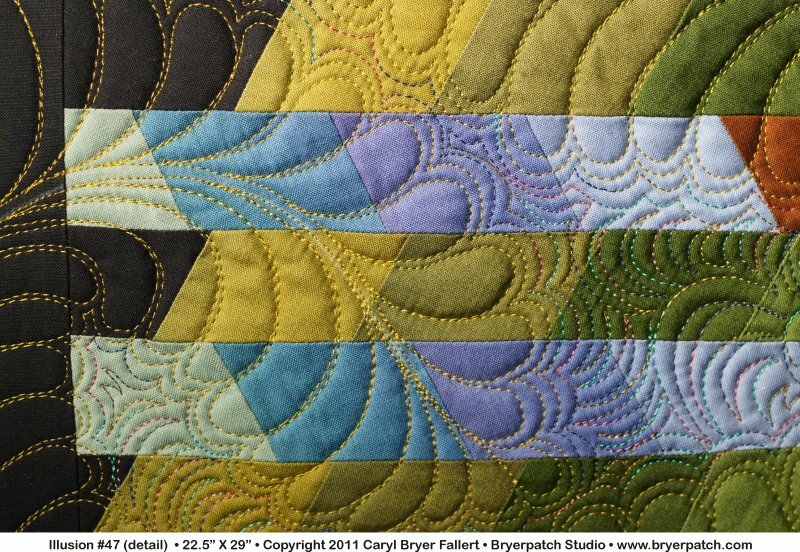 This quilt is part of a series exploring the illusion of overlapping transparent triangles. 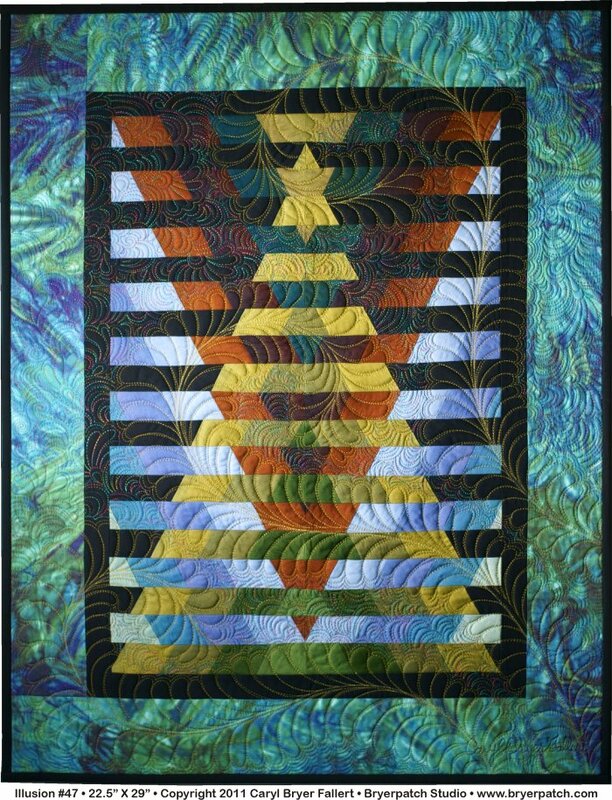 The quilting was done with polyester top stitching thread, beginning with a series feathered plumes radiating out from the bottom right corner and curling into the center. 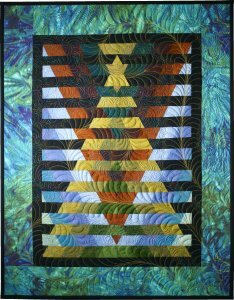 The feathers are quilted in lighter colored threads that contrast with the background, and the negative spaces between the feathers are quilted in a mixture of organic patterns with variagated thread that blends, in most places, with the underlying fabrics. 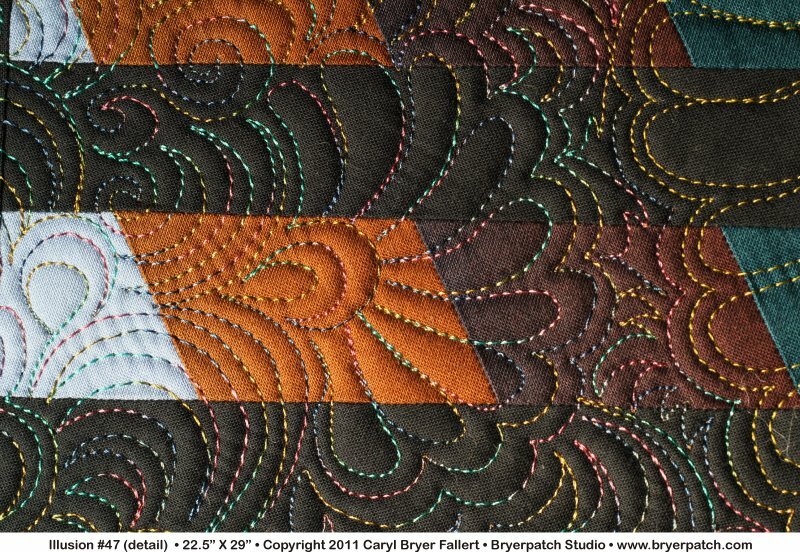 The quilts in this series start with two square blocks with equilateral triangles. Square A has a dark triangle on a light background and Square B has a light triangle on a dark background. The squares are sliced into strips and reassembled with alternating strips from Square A and Square B. 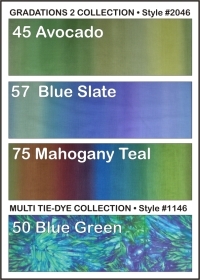 All of the fabrics in this quilt were designed by Caryl for Benartex and come from her Gradations and Milti-tye-dye collections. 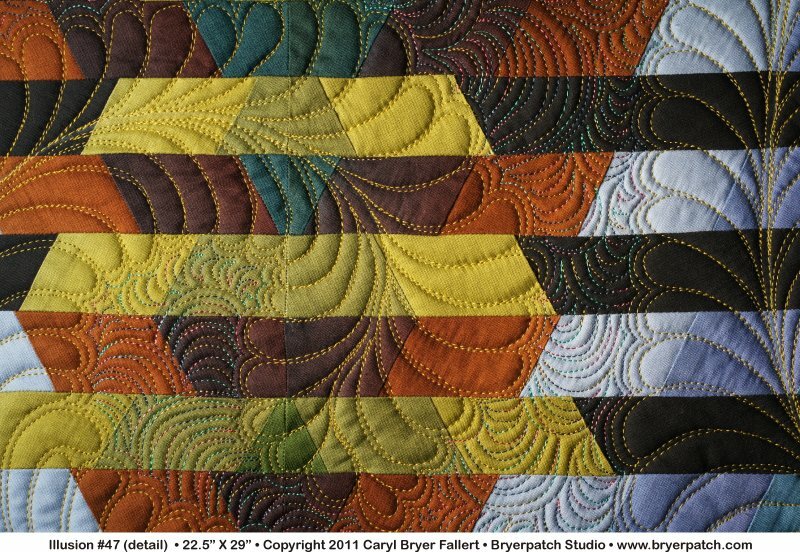 A pattern, complete workshop on CD and all of the fabrics for this quilt are available from the Bryerpatch Studio Internet Store.